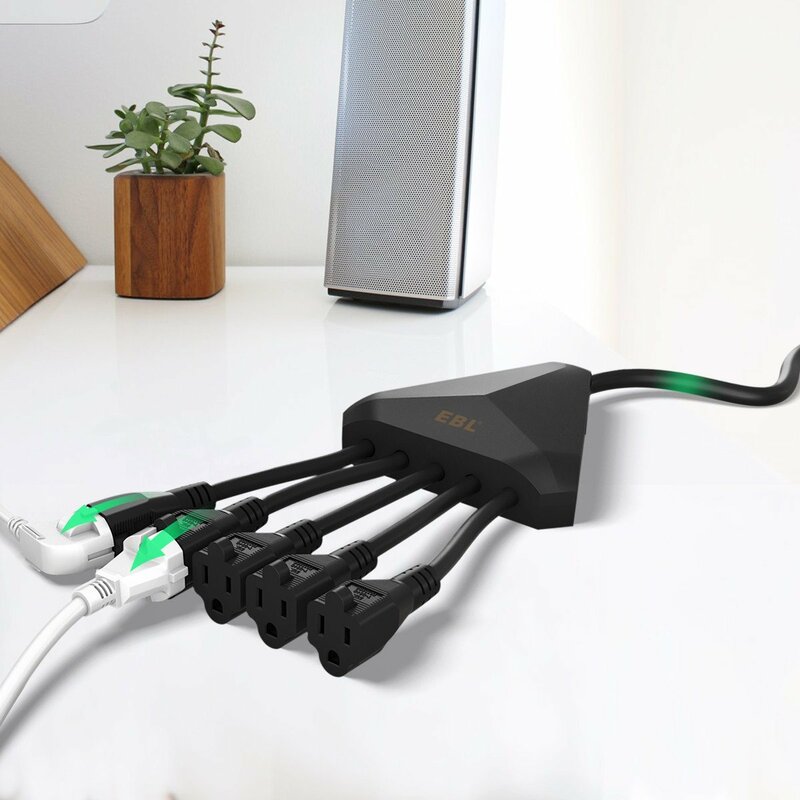 This extension power cable device enables you to connect up to 5 appliances simultaneously. 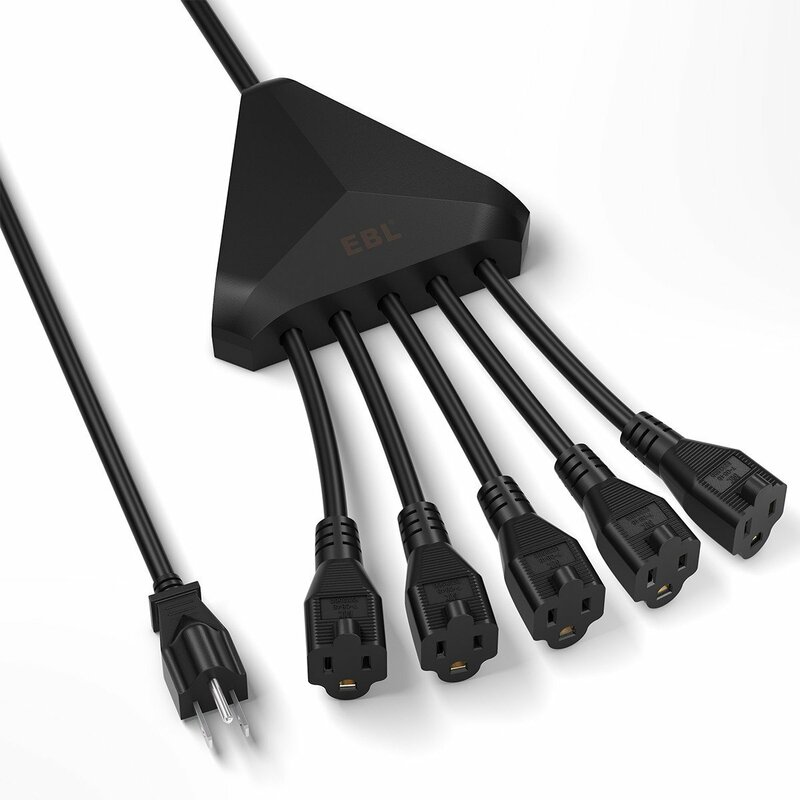 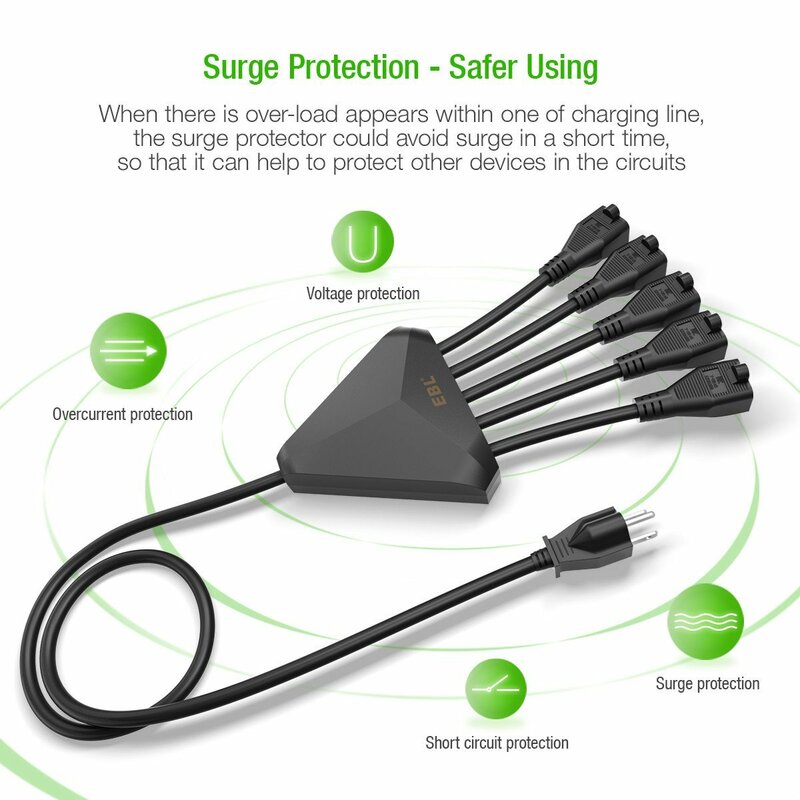 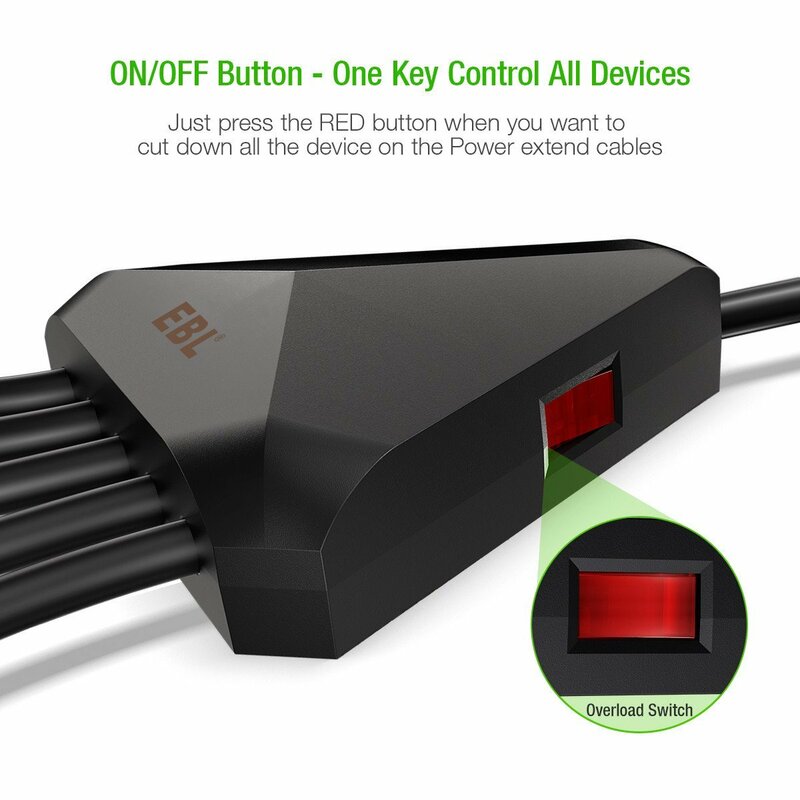 This EBL power extension cord is able to power up to 5 devices simultaneously. 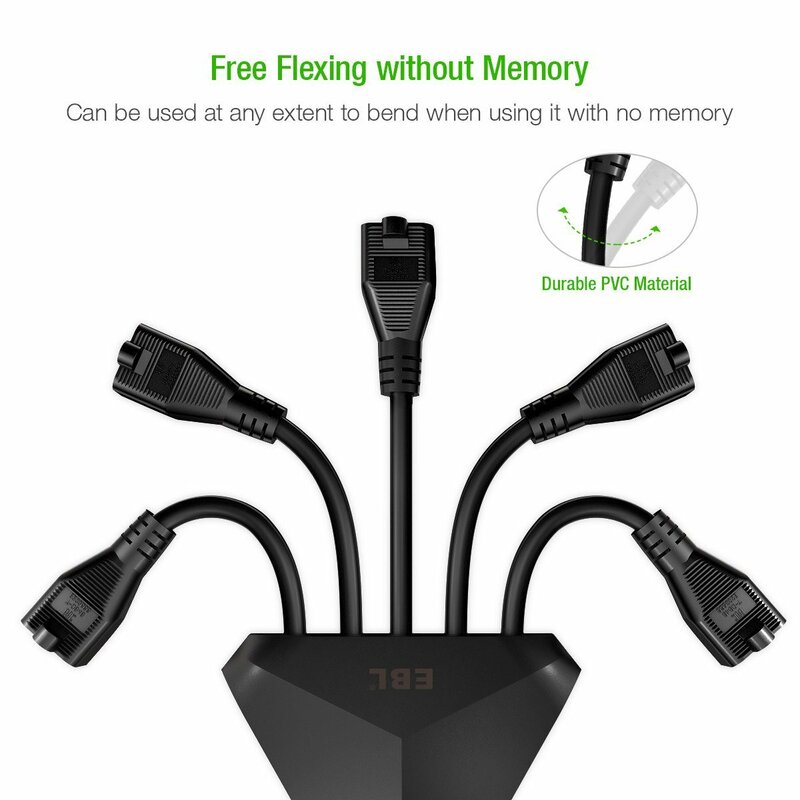 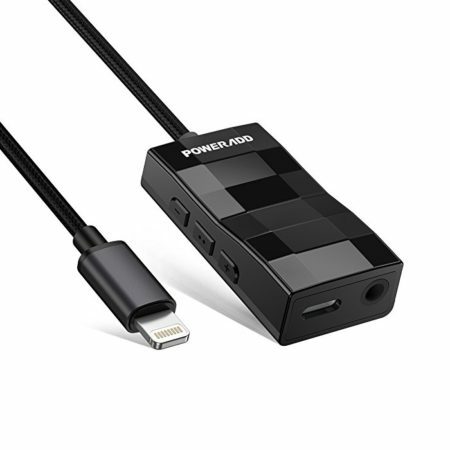 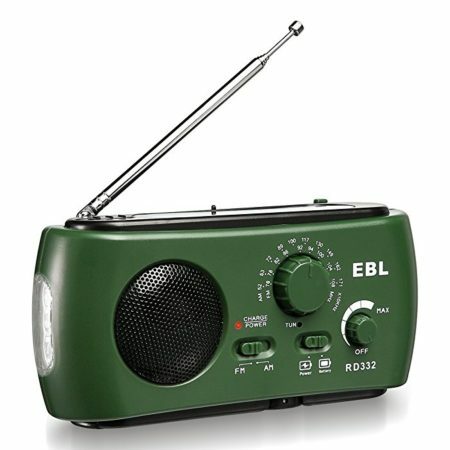 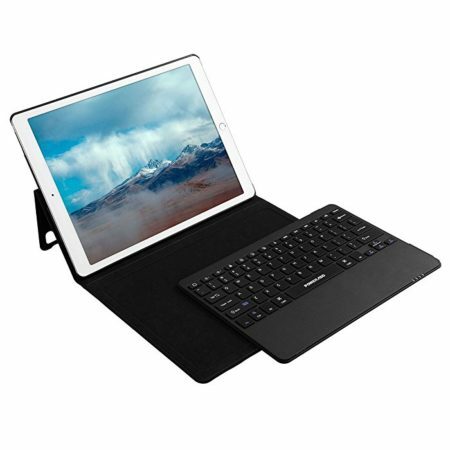 It spilts one main power supply for more devices and extends the cable length for connection conveniences. 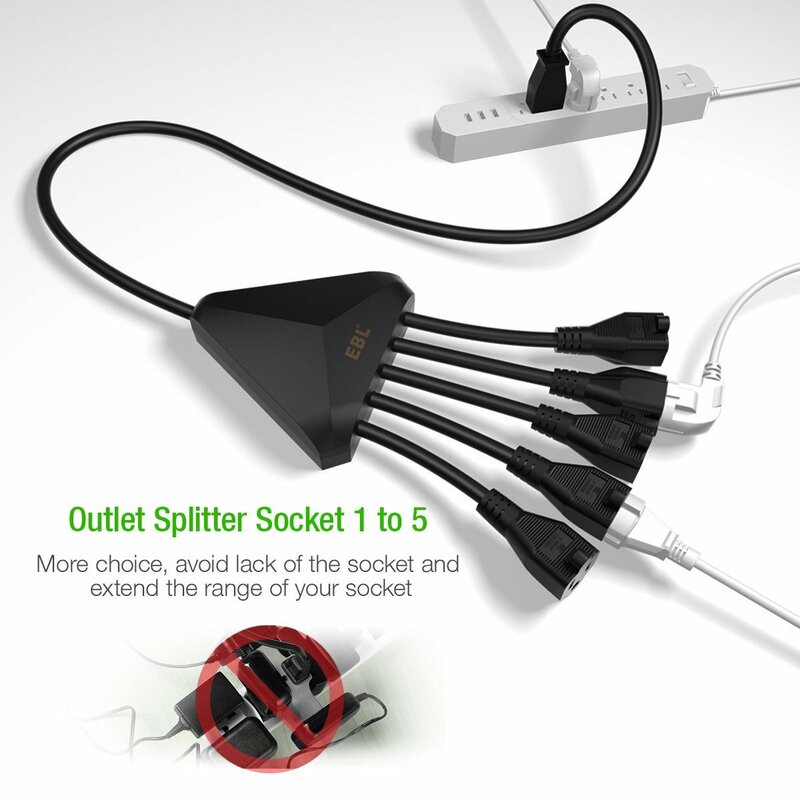 This power cable splitter works in wide voltage range: 100 to 240 volts, suitable for most countries. 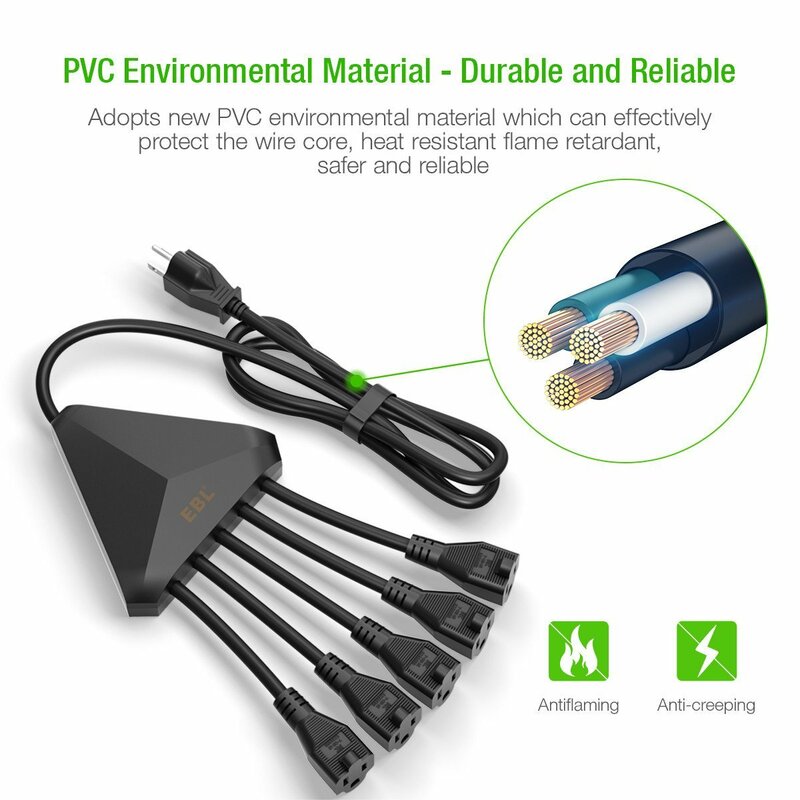 This extension power cable splitter is made of durable PVC and fireproof ABS materials to protect the built-in copper wire better. 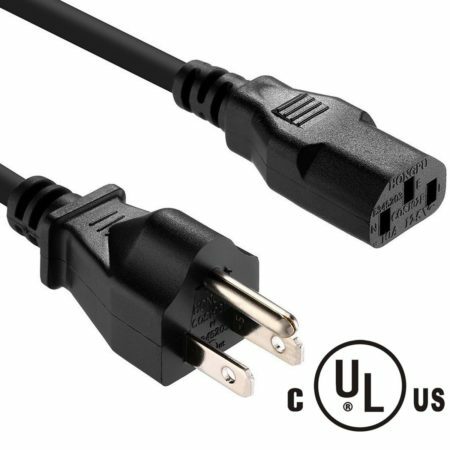 Safe powwer extension cables for your socket: The 1625W(125V/13A) circuit breaker has unique on/off button for protection against power surges and short-circuit.